Shahzad Uddin is a Professor of Accounting and the Director of Essex Accounting Centre. He is a qualified cost and management accountant. 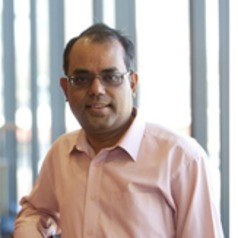 Currently, Shahzad is the co-editor of Journal of Accounting in Emerging Economies (JAEE). Shahzad is the founding chair of British Accounting Association special interest group – Accounting and Finance in Emerging Economies (AFEE). Shahzad began his academic career at Islamic University. Shahzad received his MSc in accounting and finance from UMIST, UK. He received his PhD in management accounting from University of Manchester. Prior to Essex, he was at Queen’s University Belfast, UK. Shahzad moved to the University of Essex in 2002 as a lecturer prior to becoming a professor of accounting at Essex Business School in 2010. Shahzad has published on management accounting, accounting and development issues, new public management, corporate governance and corporate social responsibility in wide variety of contexts including Greece, China, Japan, Indonesia, Sri Lanka, Bangladesh, Pakistan, Mexico, Ghana and Uganda.